1.9. "Terms and Conditions" means the terms and conditions of sale set out in this document and any special terms and conditions agreed in writing by the Company. 2.1. These Terms and Conditions shall apply to all contracts for the sale of Goods and/or Services by the Company to the Customer and shall prevail over any other documentation or communication from the Customer. 2.2. All orders for Goods shall be deemed to be an offer by the Customer to purchase Goods and/or Services pursuant to these Terms and Conditions and are subject to acceptance by the Company in writing. 2.3. Any quotation is given on the basis that no contract shall come into existence until the Company accepts the Customer's order in writing. Any quotation is valid for a period of 90 days only from its date, or as otherwise specified in the quotation, provided that the Company has not previously withdrawn it. 2.4. The Customer shall ensure that any Input Material provided to the Company relating to the Goods and/or Services is complete and accurate. 2.5. Product type or sizing shall remain the Customer's responsibility which will be confirmed on a 'confirmation sheet' or CAD drawing which will be sent after placement of order. Drawings are also acceptable as confirmation providing all information is clearly noted down. Any information not on such drawing or confirmation can/will not be counted during manufacture. 2.7. Where the Company agrees to supply both Goods and Services, two separate contracts shall arise for (i) Goods and (ii) Services respectively, notwithstanding that this may not be explicitly stated in the Company's written acceptance. In these circumstances, the Customer's liability to pay for the Goods shall be separate and distinct from the Customer's liability to pay for the Services. 2.8. Prior to supplying any Services to the Customer, the Company may undertake a preliminary survey of the Site, although the Company shall not be obliged to do so. The Customer acknowledges and agrees that the Company shall be entitled to rely upon the results of any such preliminary survey in determining the Company's obligations under these Conditions and that any conditions (or variations thereto) at the Site which were not reasonably apparent to the Company at the time of the preliminary survey (or which occur or manifest themselves thereafter), shall be treated as a variation to the Customer's order for which the Customer agrees to assume sole liability, including but not limited to any and all liability for any additional costs, charges or expenses. 2.9. Without limiting the generality of Condition 2.7 above, the Customer will be liable for any additional costs, charges or expenses which arise from any conditions at the Site being at variance with any conditions notified to the Company. 2.10. In the absence of a contract for the supply of Services, the installation of the Goods shall be the sole responsibility of the Customer and the Customer shall be responsible for determining the accuracy of any measurements used in the production of the Goods. The Customer may request the Company to measure up the Goods for installation by the Customer, for which the Company reserves the right to impose an additional charge. For the avoidance of doubt, where the Customer is to install the Goods, but the Company agrees to measure up the Goods for installation by the Customer, the Customer must ensure that the Customer's installer agrees the measurements produced by the Company and the proposed method of fixing the Goods with the Company prior to installation. 2.11. Where the installation of the Goods is the responsibility of the Customer and the Customer installs Goods which have been or which are damaged other than through the negligence of the Company, the Customer shall be solely responsible for the payment of any and all costs required to rectify the damage to the Goods and to anything to which the Goods have been attached, including all removal and reinstatement costs. 2.14. The Company reserves the right to amend any accidental error or omission on quotations, orders acknowledgements or invoices without any liability on the part of the Company. 2.15. Acceptance of delivery of the Goods and/or Services shall be deemed conclusive evidence of the Customer's acceptance of these Terms and Conditions and of the product(s) delivered. 2.16. The Company shall not be liable to the Customer for recommending any contractor involved in any other trade to the Customer. 2.17. Any variation to these Terms and Conditions shall be inapplicable unless agreed in writing by the Company. 3.1. Any and all Intellectual Property Rights (howsoever arising), in relation to the Goods and/or Services and any Output Material shall at all times vest in and belong solely to the Company. 3.2. If the Goods are to be manufactured, designed, built or configured or any process is to be applied to the Goods by the Company in accordance with any express or implied instructions of the Customer (including but not limited to any specification or Input Material submitted by the Customer), the Customer shall hold the Company harmless and shall fully and promptly indemnify the Company against all loss, damages, costs and expenses awarded against or incurred by the Company in connection with or paid or agreed to be paid by the Company in settlement of any claim for infringement of any Intellectual Property Right of any other person which directly or indirectly results from the Customer's instructions. 3.3. The Customer acknowledges the Company's ownership of any Intellectual Property Rights in any Output Material and in any Goods and/or Services provided to the Customer pursuant to the Contract and agrees not to contest the Company's ownership or use of any such Intellectual Property Rights. Without limitation, the Customer shall not acquire any such Intellectual Property Rights or any licence or grant of rights therein, nor shall the Customer register or attempt or permit to be registered, any such Intellectual Property Rights or any licence or grant of rights therein. The Customer further acknowledges that, without limitation, any and all Intellectual Property Rights developed by the Company in performing any Services or providing any Goods shall become vested and shall vest in the Company absolutely and shall also be subject to the other provisions of this Condition 3.3. 4.1. The price quoted for Goods and/or Services is base d on conditions ruling on the date of its giving and is subject to change. The effective price for the Goods and/or Services shall be the price confirmed by the Company in its written notification of acceptance of the Customer's order. 4.2. Unless otherwise stated the price quoted will be exclusive of Value Added Tax, which will be charged at the rate that is applicable at the date of dispatch of the Goods or commencement of performance of the Services. 4.3. The Company reserves the right, by giving notice to the Customer at any time before delivery or provision of the Goods and/or Services, to increase the price to reflect any increase in the cost to the Company that is due to any factor beyond the control of the Company (such as, without limitation, any foreign exchange fluctuation, currency regulation, alteration of duties, any increase in the costs of labour, materials or other costs of manufacture), any changes in delivery dates, quantities or specifications for the Goods and/or Services which are requested by the Customer, or any delay caused by any instructions of the Customer or failure of the Customer to give the Company adequate, accurate or complete information or instructions. 4.4. Unless otherwise agreed in writing between the Customer and the Company, all prices are given by the Company on an ex works basis and where the Company agrees to deliver Goods the Customer shall be liable to pay the Company's charges for transport, packaging and insurance. b) Where the Contract is for Goods and Services, Condition 2.7 above shall apply and 20% of the Contract price shall be separately payable for Goods and Services with the Customer's order and the balance of the contract price shall thereafter be separately payable (i) for Goods, upon delivery of the Goods and (ii) for Services, upon completion of the Services. 4.6. Where the Customer pays, either in full or in part, by credit or debit card, the Customer hereby authorises the Company to retain the Customer's card details and to charge the Customer's card with respect to the outstanding part of the Contract price upon delivery of the Goods and/or completion of performance of the Services, as applicable. 4.7. Payment of the total balance (including VAT and any delivery charges) must be made in full upon delivery. 4.8. No payment shall be deemed to have been received until the Company has received cleared funds. 4.9. Failure by the Customer to pay any invoice by its due date shall entitle the Company (without prejudice to any other remedy available to the Company) to: a) at its option, to charge interest at the rate of five percent (5%) per annum above HSBC Bank plc's base lending rate from time to time calculated on a daily basis (whether before or after any judgment) until payment in full is made (a part of a month being treated as a full month for the purpose of calculating interest); b) to charge the Customer with any costs incurred by the Company in the course of collecting outstanding monies due to the Company from the Customer; c) suspend any warranty for any Goods or Services supplied by the Company to the Customer, (including any that have previously been paid for or that have been paid for in part); d) set off any amount owed by the Company to the Customer against any amount owed by the Customer to the Company on any account whatsoever; e) suspend or cancel any existing or future delivery of Goods and/or performance of Services; and f) cancel any discount or price reduction (if any) offered to the Customer. The Company reserves the right to claim interest under the Late Payment of Commercial Debts (Interest) Act 1998. 5.1. Any time or date given by the Company for delivery of Goods or performance of Services is intended as an estimate only. The Goods may be delivered by the Company in advance of any quoted delivery date upon giving notice to the Customer. Any time or date given by the Company for commencement or completion of performance of the Services may also be altered upon the Company giving notice to the Customer. No delay or failure in respect of delivery, or part delivery, and/or performance of Services shall entitle the Customer to treat the contract as repudiated. 5.2. The Company will use its best endeavours to provide the Goods and/or Services in accordance with the Customer's requirements and to meet any date given for delivery. In any event time of delivery or performance of Services shall not be of the essence and the Company will not be liable for any consequences to the Customer or any third party caused directly or indirectly by delay in the provision of Goods and/or Services by an estimated date. 5.3. The Company may make partial delivery of any order or deliver any order by instalments and these Terms and Conditions shall apply to each. Each delivery shall be deemed to be a separate contract. 5.4. If for any reason the Customer fails to take or accept delivery of any of the Goods, or the Company is unable to deliver the Goods on time because the Customer has not provided appropriate instructions, documents, licenses or authorisations: (i) the Company will be considered to have fulfilled its Contract to deliver the Goods; and (ii) the Company may store the Goods until delivery, whereupon the Customer shall be liable for all related costs and expenses (including, without limitation, storage and insurance); or (iii) the Company may sell the Goods at the best price readily obtainable and (after deducting any reasonable costs and expenses in connection with the storage and expedited sale of the Goods), charge the Customer for any shortfall below the price for the Goods. 5.5. The Company shall not be liable for any non-delivery of the Goods (for any reason) unless the Customer gives written notice to the Company of the non-delivery within 3 days of the date when the Goods would in the ordinary course of events have been received. 5.6. Any liability of the Company for non-delivery of the Goods shall be limited to replacing the Goods within a reasonable time or issuing a credit note at the pro rata contract rate against any invoice raised for such Goods. 5.7. The Customer must inform the Company within 2 days of delivery of any damage or faults to the Goods. Any damaged Goods must not be fitted without the written permission of the company. If the Customer attempts to install a damaged item, then liability for this will pass to the Customer and any damage will be presumed to have taken place during the Customer's installation. 5.8. Where the Company is installing the Goods, the Customer shall inspect the work and inform the Company of any faults with the installation as soon as they arise. The Company will re-perform installation Services to rectify any errors in accordance with clause 7.6. 5.9. Where a claim of defect or damage is made then it shall be the responsibility of the Company to collect faulty Goods and the Customer shall be entitled to replacement Goods or a full refund (including delivery costs, if applicable) if the Goods are in fact defective. 5.10. Where returned Goods are found to be damaged due to the Customer's fault the Customer will be liable for the cost of remedying such damage, collection and delivery. 5.11. If delivery involves difficult access to or at the site and/or the point of access to the site is located at an unreasonable distance from any feasible vehicular access point, the Company reserves the right to levy an extra delivery charge. 5.12. The Customer shall be required to sign-off the delivery of the Goods and/or sign-off the completion of performance of the Services. The Customer warrants that the individual providing their signature is permitted to do so and is authorised to bind the Customer in all dealings with the Company under the Contract. If the Customer or their authorised signatory is unable to be present to sign-off either or both the delivery of the Goods and/or the completion of performance of the Services at the date(s) and time(s) agreed between the parties for sign-off, the Company shall have no obligation to re-schedule the event and the date originally agreed for sign-off shall be deemed to be (i) for Goods, the date upon which the Goods were delivered and (ii) for Services, the date upon which performance of the Services was completed. 6.1. No Goods may be returned without the Company's prior written consent and the Company reserves the right to levy a handling charge on all returns to cover collection and restocking costs. 6.2. Bespoke, made-to-measure Goods may not be returned unless the Customer is seeking to rectify damage to those Goods which has occurred during transit to the Customer. All goods sold are classed as made-to-measure and are made to the Customer's own specification so the Customer's right to withdraw from the contract is exempt under The Consumer Protection (Distance Selling) Regulations 2002. This does not affect your statutory rights. 7.1. The Company warrants that the Goods will at the time of delivery correspond to the description within the confirmation documents given by the Company. 7.2. The Company warrants that on delivery, the Goods shall be of satisfactory quality within the meaning of the Sale of Goods Act 1979. 7.3. The Company will endeavour to transfer to the Customer the benefit of any manufacturer's warranty or guarantee given to the Company. 7.6. To be defective and notified to the Company within this period; otherwise, the Goods shall be deemed to be satisfactory and a charge will be made for additional rectification work. 7.7. The Company warrants that Services will be performed with reasonable skill and care. The Company's liability for Services is limited to re-performing those Services if the Customer has informed the Company of an alleged defect or deficiency relating to the Company's work within 12 months of its completion; otherwise, the Services shall be deemed to be satisfactory and a charge will be made for additional rectification work. 7.8. The Company shall not be liable for any breach of any warranty if: a) the Customer makes any further use of any Goods which the Customer has alleged to be defective after giving notice of any such defect; b) the Customer modifies, adjusts, alters or repairs the Goods (or undertakes substantial works at or in the vicinity of the Goods) without the prior written consent of the Company; c) the defect arises because the Customer failed to follow any oral or written instructions as to the storage, installation, commissioning, use or maintenance of the Goods or (if there are none) good trade practice; d) the defect arises from fair wear and tear, wilful damage, negligence, subjecting the Goods to any unusual physical or other stress or adverse environmental conditions, misuse of the Goods or from any other cause which is not due to the neglect of the Company; e) the defect relates to any work external to the Goods, or through transportation or relocation of the Goods not performed by, for or on behalf of the Company; f) the full price for the Goods has not been paid by the time for payment stipulated in Condition 4.7; or g) the defect is of a type specifically excluded by the Company by notice in writing. 7.9. If upon investigation, the Company reasonably determines that any failure, defect in or malfunction of the Goods is a result of any of the matters referred to in Condition 7.7, the Customer shall be liable for all costs reasonably incurred by the Company in investigating the same and determining the cause. 7.10. Any outstanding payments not made in full to The Great Gate Company void any guarantee/ warranty. 8.1 Nothing in these Terms and Conditions shall exclude or limit the liability of the Company for death or personal injury, however the Company shall not be liable for any direct loss or damage suffered by the Customer howsoever caused, as a result of any negligence, breach of contract or otherwise in excess of the price of the Goods. 8.2 The Company shall not be liable under any circumstances to the Customer or any third party for any indirect or consequential loss of profit, consequential or other economic loss suffered by the Customer howsoever caused, as a result of any negligence, breach of contract, misrepresentation or otherwise. 8.3 The Customer shall hold the Company harmless and keep the Company fully and promptly indemnified against all direct, indirect or consequential liabilities, that arise directly or indirectly from the Customer's fraud, negligence, failure to perform or delay in the performance of any of its obligations under the Contract, subject to the Company confirming such costs, charges and losses to the Customer in writing. 10.1 Both the Company and the Customer shall comply with the General Data Protection Regulation, effective 25 May 2018. 10.2 The Company will only collect Personal Information relating to the Customer that it requires to perform any contracts between the Company and the Customer, and/or to provide the best customer service for the Customer. 10.3 The Company will keep all Personal Information regarding the Customer completely secure and confidential. 10.4 The Company will endeavour to only record accurate Personal Information relating to the Customer, and will act promptly to correct any inaccuracies identified. 10.5 Personal Information kept by the Company that is no longer required for specific contractual, legislative, or legal reasons will be securely disposed of. 10.6 The Company will never sell any Personal Information to a third party organisation. 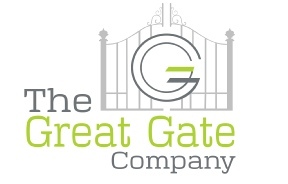 The Great Gate Company is a family owned and operated wrought iron company, that prides in making custom bespoke wrought iron gates, railings, balconies, window guards and anything you wish to have made from wrought iron.